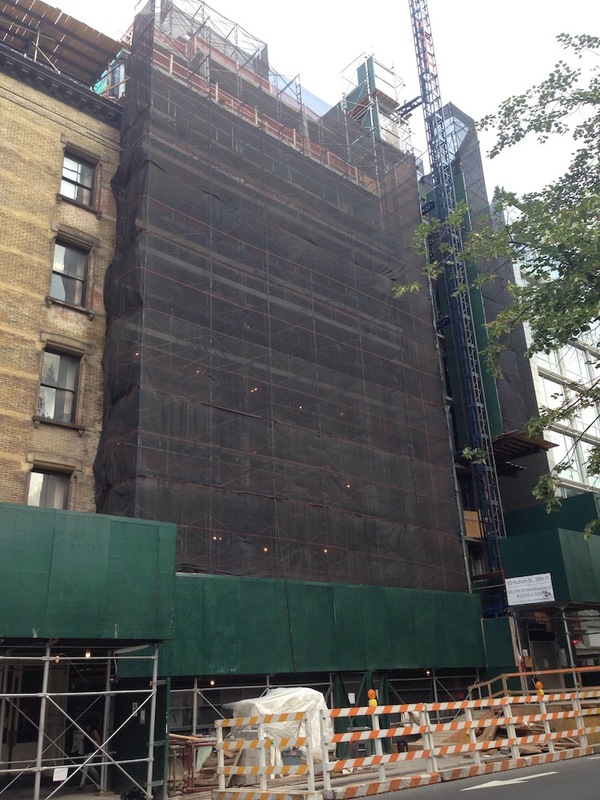 We hope there’s a next wave of striking scaffolding at DDG’s 325 West Broadway condo conversion. 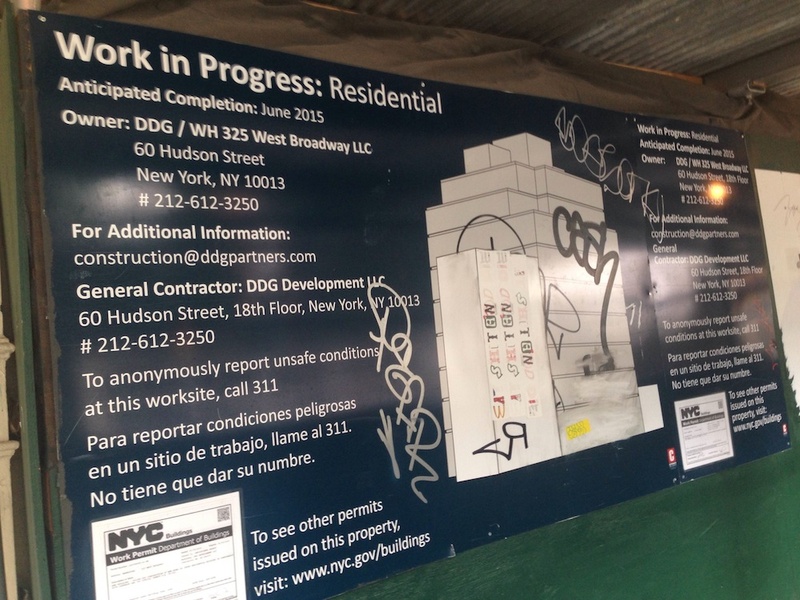 The firm has turned beautifying construction sites into an art, starting with 345meatpacking’s snakey netting designed by Japanese artist Yayoi Kusama in 2012. 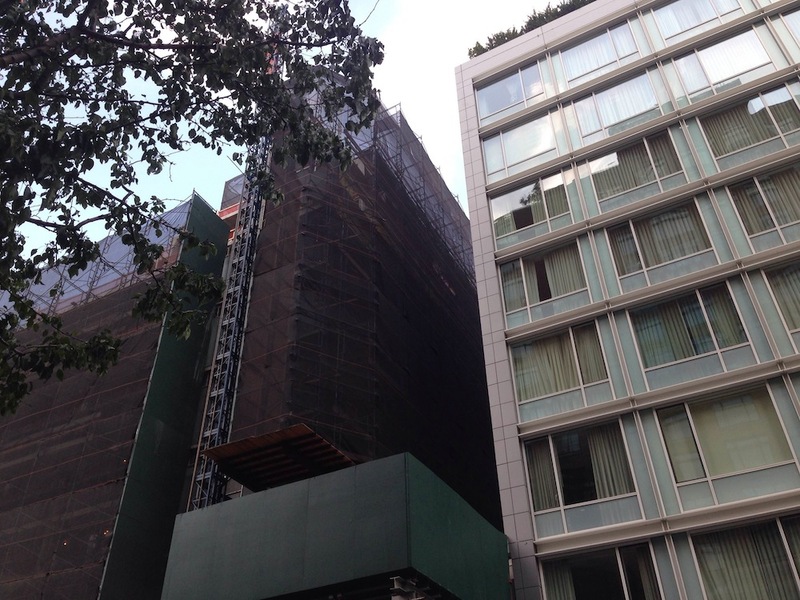 Previously, the nine-story, 24-unit project at 325 West Broadway has been graced by trompe-l’œil chocolate bar signage, followed by a scaffolding mural by British street artist Ben Eine, Curbed reported. DDG purchased the property, formerly a Tootsie Roll Factory, in 2012 for $38.35 million, Crain’s first reported. The block-through vacant factory totaled 56,000 square feet, with frontage on Wooster Street. 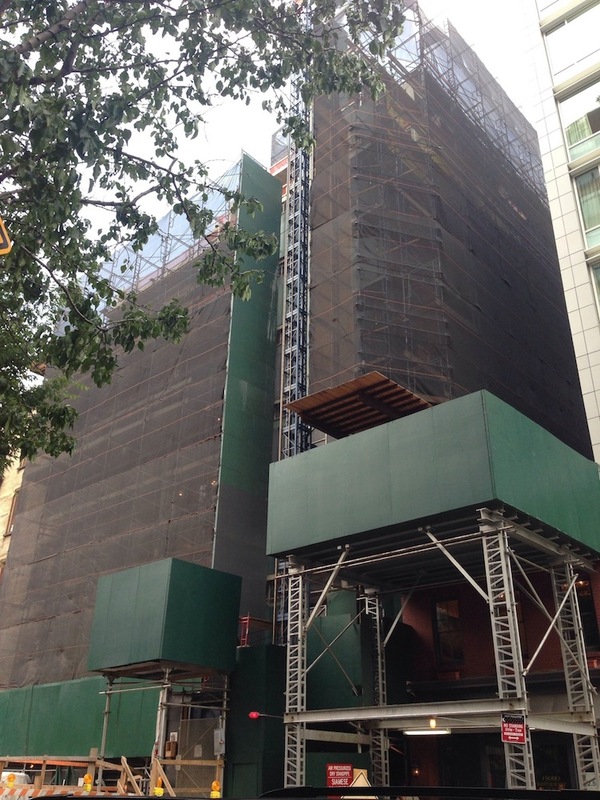 In March 2013, the Landmarks Preservation Commission approved DDG’s design for the development, which features a cast aluminum facade screen in front of a glass window wall. The ground-floor retail space will be enrobed in glass, creating the illusion of a floating facade, according to The Real Deal. Construction is anticipated to be completed by June 2015. Photos by buzzbuzzyoori.